Having worked with Westgate on previous projects, Great Bear was confident Westgate had the experience to design, supply and install the required partition wall. Flexiwall solutions consist of individual fire rated panels that are then profiled to fit the shape of the building. Using the existing structure or additional fabricated steel work, Westgate suspend and tension each panel to form a permanent but reconfigurable, relocatable or removable wall. A Flexiwall FP560 sil-cloth fabric was used for this project, which was an ideal solution as it has an extra coating to stop odour permeating the fabric. Flexiwall materials also carry thermal properties that enable enclosures to operate at different temperatures. Due to the unique v-overlap system between panels Flexiwall also offers an over 99% dust tight seal. 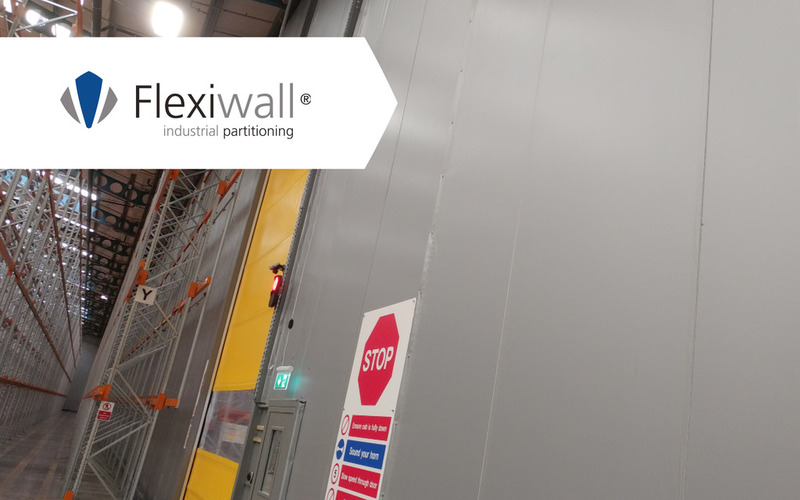 Flexiwall installations are quick and clean when compared to more traditional solid partition wall options. They also require less machinery and space to install. This particular project had a tight schedule and installation took place within a 3 week slot to accommodate Great Bear’s project plan.